Let's get cooking with PlanToys! 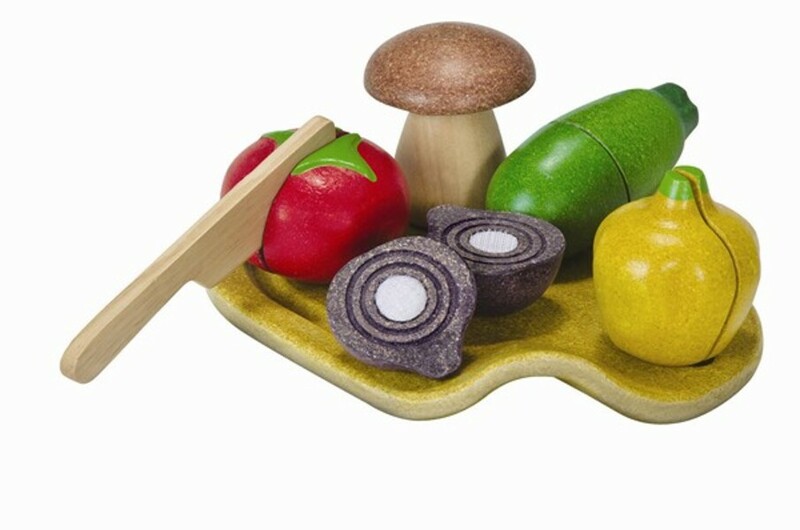 This wooden set includes a chopping board, a knife and 5 sliceable vegetables: tomato, mushroom, shallot, bell pepper, and cucumber. From 18 months.